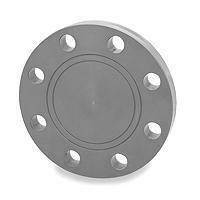 BLIND FLANGE(UPVC - CPVC SCH80 FITTINGS) - Dura Flow Pipe Ind. Co., Ltd. THE PLASTIC SYSTEM PIPELINE DESIGN AND INSTALLATION MUST BE COMPLY WITH THE BUILT STANDARDS AND SPECIFICATION,MUST RE-CHECK THE APPLICATION SUBILITIES BEFORE INSTALLATION. CHOOSE THE RIGHT PRIMER AND CEMENT AND USE THE PROPER APPLICATOR AND ACCORDING TO THE MANUFACTURER'S INSTRUCTIONS. USE THE QUALTIY JOINT COMPOUNDS AND.OR TEFLON TAPE SEALING. SOME SEALING COMPOUNDS CONTAIN CHEMICALS TO CAUSE THE STRESS CRACKING. THE THREADED CONNECTIONS ONLY TAKE ONE OR TWO TURNS. DON'T DO THE OVERTHREADING. CAUTIONS:DON'T USE THE COMPRESSED AIR OR GAS ON THE PLASTIC PIPING SYSTEMS. DON'T USE THE COMPRESSED AIR OR GAS ON THE PLASTIC PIPING SYSTEM TESTING.